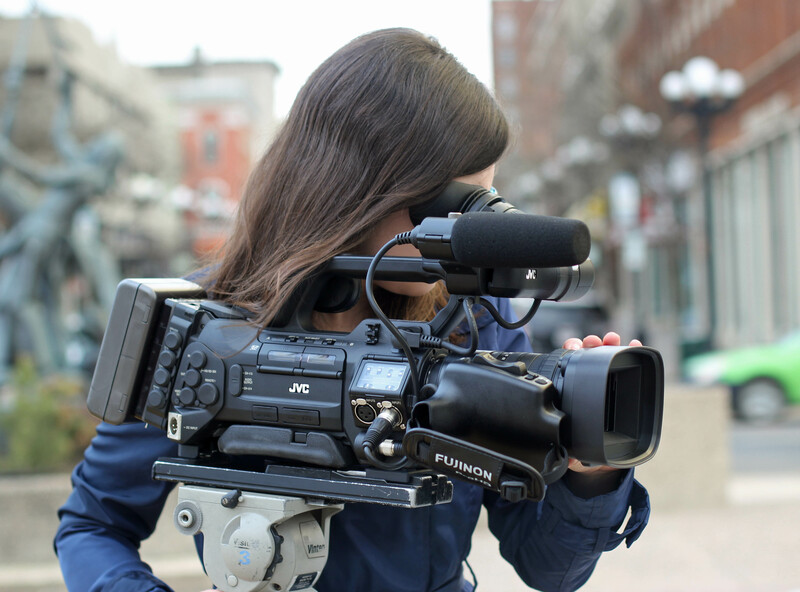 JVC News Release -- Quincy Media Standardizes on JVC camcorders for broadcast TV news. WAYNE, NJ (April 12, 2017) – JVC Professional Video, a division of JVCKENWOOD USA Corporation, today announced Quincy Media, Inc., is standardizing on ProHD and 4KCAM camcorders for news operations across its television broadcast stations. Based in Quincy, Ill., the company owns and operates 22 television stations across seven states, including 19 that produce local news, and is expected to purchase about 200 JVC camcorders over the next two years. According to Brady Dreasler, corporate director of engineering, Quincy Media’s initial order of 31 cameras includes a dozen GY-HM200 4KCAM compact handheld camcorders for multimedia journalists, as well as GY-HM890 ProHD shoulder-mount camcorders for ENG work. The move to JVC is part of the company’s efforts to standardize its news workflow across all its stations, as well as retire aging and mismatched equipment. Most of the initial new cameras will be assigned to WXOW, the ABC and CW affiliate in La Crosse, Wis. (DMA #129), as well as KTTC, the NBC and CW affiliate, and KXLT, the FOX affiliate, in Rochester, Minn. (DMA #153). Dreasler said the initial order will help “make sure we get the workflow right” before distributing new camcorders to other stations. The new cameras will be in the field in time for May sweeps. Both the GY-HM890 and GY-HM200 feature integrated streaming with Wi-Fi and 4G LTE connectivity, which allows live HD transmission directly to hardware decoders or CDNs such as JVC VIDEOCLOUD and Facebook Live. Dreasler said Quincy Media will not use JVC’s built-in streaming capabilities for live field reports at first, but will evaluate the technology for potential future use. With its integrated 12x zoom lens, the GY-HM200 delivers 4K Ultra HD, 4:2:2 Full HD (50 Mbps), and SD footage. Other features an integrated handle with hot shoe and dedicated microphone mount, dual XLR audio inputs, and SDI and HDMI video outputs. The GY-HM890 features three CMOS sensors, and records HD or SD footage in a variety of native file formats using MPEG-2 or H.264 compression. Ideal for studio or multi-camera field production, its 68-pin connection supports JVC fiber or multi-core camera modules. JVC will showcase its complete line of ProHD and 4KCAM cameras at the 2017 NAB Show (Booth C4315), which runs April 24-27 in Las Vegas, Nev.
Headquartered in Wayne, New Jersey, JVC Professional Video is a division of JVCKENWOOD USA Corporation, a wholly-owned subsidiary of JVCKENWOOD Corporation. The company is a leading manufacturer and distributor of broadcast and professional video equipment, as well as D-ILA front projection systems. For more information, visit JVC’s website at http://pro.jvc.com or call (800) 582 5825. 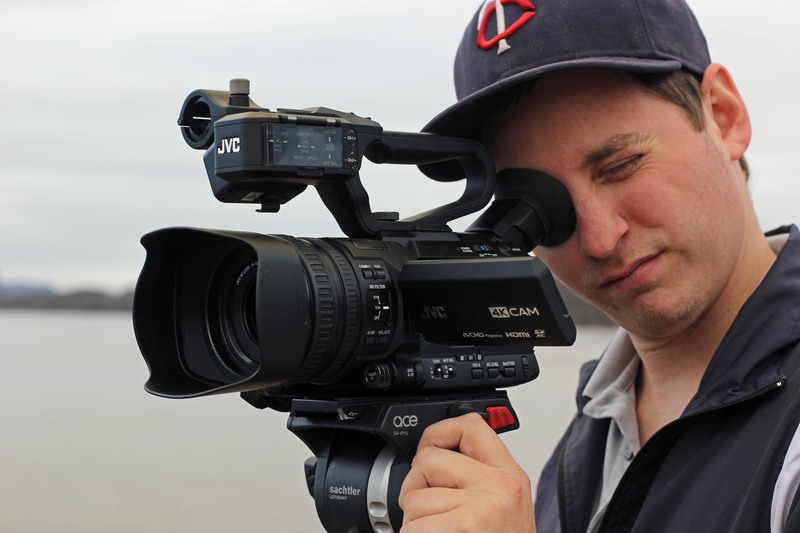 Caption: WXOW chief photographer Jimmy Kruckow uses one of Quincy Media’s new JVC GY-HM200 camcorders, which will be assigned to the station’s multimedia journalists. Caption: Quincy Media is standardizing on JVC camcorders for news operations. 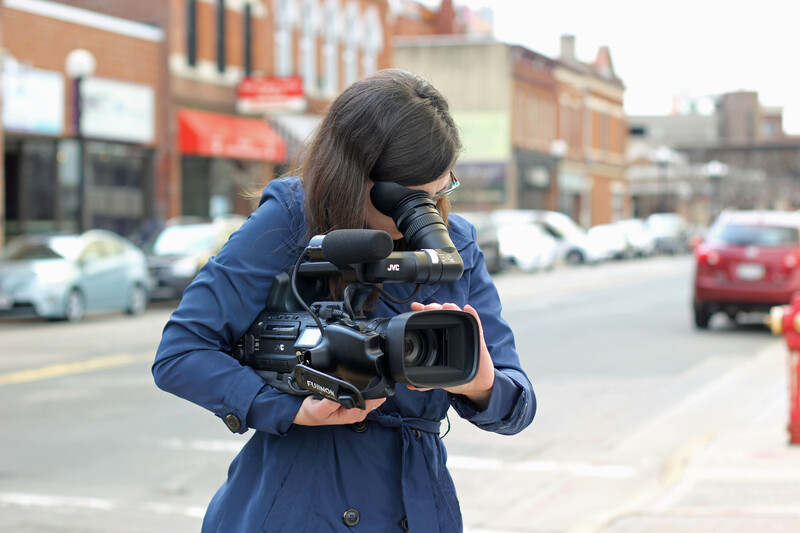 Here, WXOW weekend anchor and multimedia journalist Caroline Hecker uses one of the station’s new GY-HM200 camcorders. 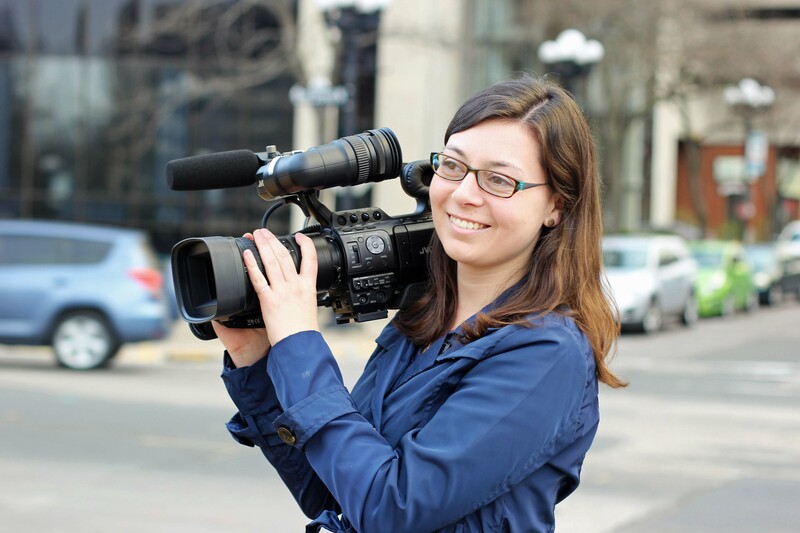 Caption: WXOW production photographer Sara Enzenauer uses one of Quincy Media�s new JVC GY-HM890 shoulder-mount camcorders.